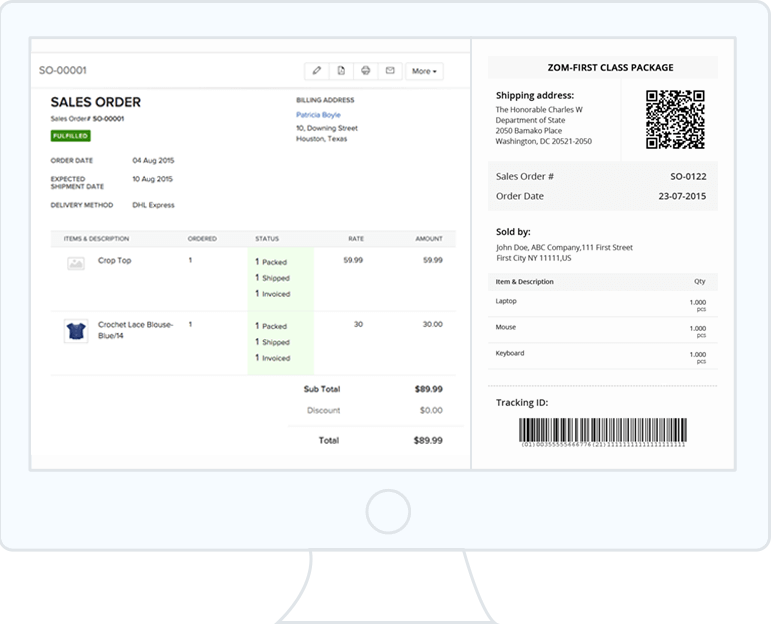 Quick and easy order fulfillment with Zoho Inventory. 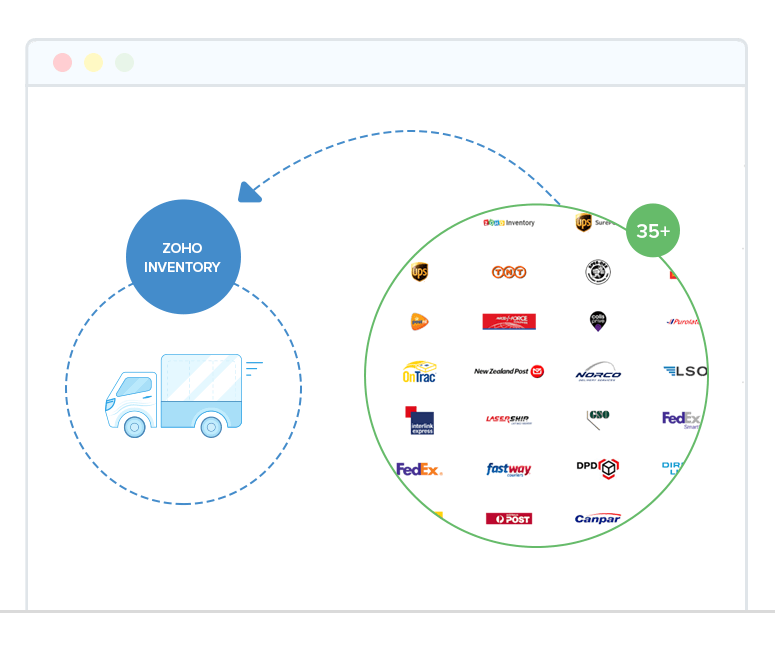 Set up an order fulfillment system for your business with Zoho Inventory. It helps you to simplify work flow, fulfill orders faster, and gain customer trust. 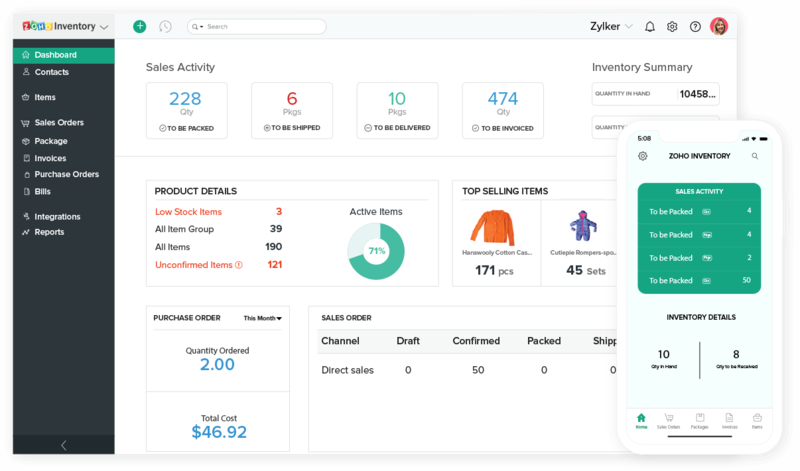 Get a quick overview of all your sales orders in a single dashboard. See how many orders are pending, invoiced, packaged, or delivered. 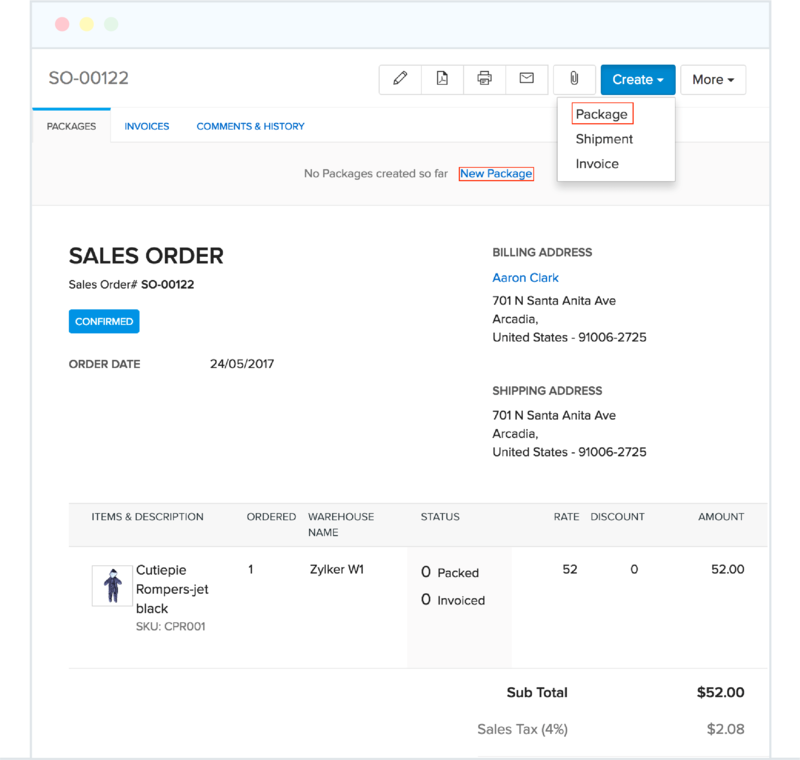 Once you've confirmed each sales order, convert it into a packing slip with just one click. The details are imported automatically, and you can save the slip, print it, or send it to the customer via email. Integrate with more than 40 shipping carriers to manage your shipments across the globe conveniently, quickly, and without switching tabs. 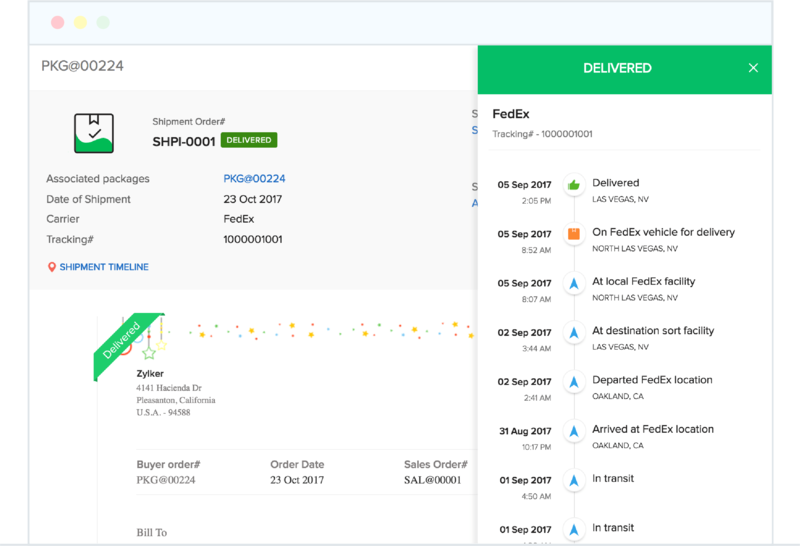 Generate shipping labels from your packing slips, and find real-time shipping costs for each package before you send it to your customer. After you ship a package, send tracking updates with AfterShip integration. Gain your customers' trust by keeping them informed. No stock left to fulfill the next order? 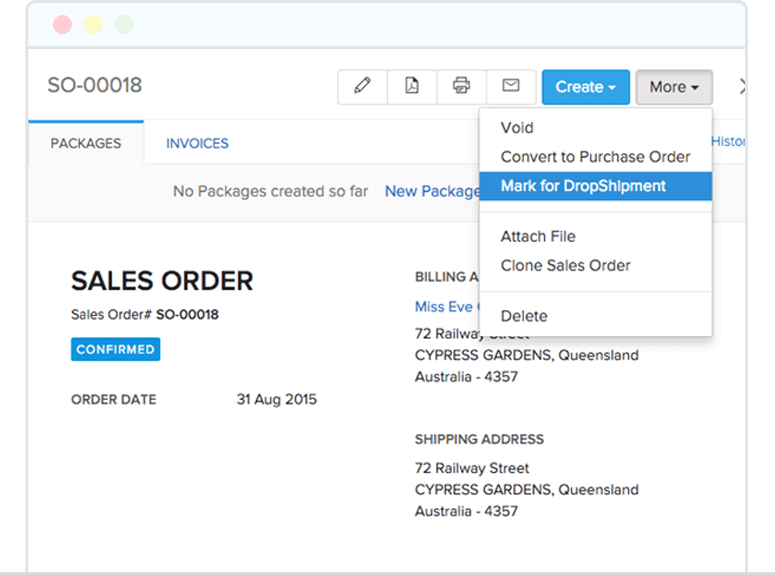 Create a drop shipment and have your vendor ship the package to the client directly.